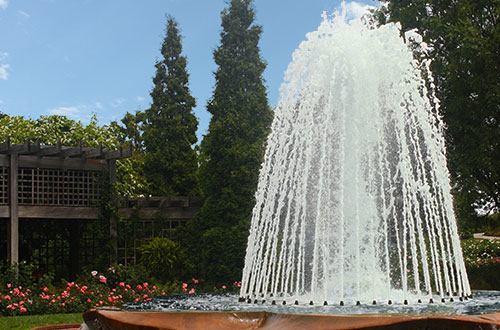 Water Garden's range of Stainless Steel Fountain Spray Rings are supplied with the required quantity of angular adjustable single jet nozzles. Each water jet can be precisely angled to create a variety of stunning water displays. In addition, other spray rings of differing diameters can be combined to create multiple water jet patterns. Spray Rings can produce display heights up to 4 metres. Our Exclusive Fountain Spray Bars can be used in ponds and lakes to create stunning lines of vertical or arching water jets.